Whether you're looking to refinance, purchase home or get FHA 203k home improvement loans in Queens NY, consolidate debt, get extra cash, or simply save money each month we are here for you. Artisan Mortgage Company is trusted Queens mortgage broker who will help you plan for the future and achieve your financial goals. We've helped thousands of customers build home loans for their unique situation, whether you're in Astoria, Woodside or Ridgewood NY now let us help you. If you are looking for low Queens NY mortgage rates and flexible refinance options, you will get the right assistance that you need to sort through the many choices available: reverse mortgage, FHA 203k home improvement financing, construction loans, FHA mortgage, USDA and VA loans, home equity loan, debt consolidation. By answering a few questions on the right side form, or calling 1-800-499-0141 we'll help you assess your financial situation and develop a plan that considers your home equity, outstanding debt, and long-range goals. It's quick, easy, and most importantly it's free with no obligation. Our ongoing proven commitment is to provide to all customers a variety of mortgage services through common-sense lending practices and always with a smile, friendly voice, and professional manner. Buying a home is a major event in your life. Once you find your dream home a pre-approved Queens NY home loan lets you act immediately and not lose time waiting to hear from the bank. Our experts offer typically many different programs across so that each customer can be directed to particular program that suits and costs them less. We usually have the capability to be much more flexible accommodating unusual income documentation or credit history challenges. Cannot find the home of your dreams? Build it. We provide the funds to build your new home and roll your building loan into a permanent loan, saving you money in extra closing costs. Before you start shopping the market for a new house find out if you are Pre Qualified. Based on your assets and financial situation we can determine the right course of action for you. The better prepared you are for the market the easier it will be to start shopping around for house that suits your needs. Let us help you prepare for this adventure. Call one of our loan officers to set up an appointment whether you are in or Rockway Park, Breezy Point or Sunnyside and request custom quote. 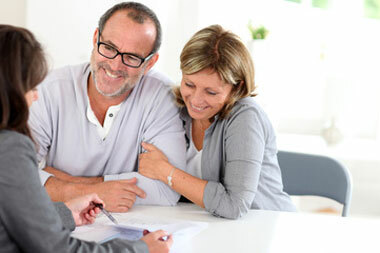 A lending professional can help you find exactly the right loan program for your needs. The right program can save you thousands of dollars over the life of your loan. Want to save money? Refinancing your existing mortgage can do just that! There are many reasons to refinance your current home loan across Whitestone, Flushing or Rego Park NY. By simply filling out a loan application, you may be able to lower your monthly mortgage payment across Forest Hills, Woodhaven or Roxbury NY or convert equity into cash for home improvements, debt consolidation, or for personal use. In addition, refinancing in Queens New York may stabilize your monthly payments by converting from an adjustable to a fixed-rate mortgage. Take advantage of our low interest rates today! Refinancing your property across Ozone Park or St. Albans NY does not have to be confusing or intimidating. With affordable interest rates, flexible loan programs in Queens NY, and fast, courteous service, we can help you achieve more. Our commitment to you goes beyond the initial loan transaction - we want to be your mortgage company for life whether you are in Howard Beach, Douglaston or Queens Village NY. Please give one of our Loan Officers a call at our toll-free number to fully analyze whether refinancing is the best option for you. Unfortunately, banks and finance companies typically have only a few different programs that they think will cover most situations. Mortgage Brokers work directly with consumers. Working directly with consumers creates the understanding that each customer and transaction has its own special characteristics. Selecting your home loan program whether you are in Bayside, Jamaica or Maspeth NY neighborhoods can be one of the most important financial decisions made in a lifetime. What type of loan is best for you? Call us to learn more. Our fixed rate loans help you plan for the future with principal and interest payments that never change over the term of the loan. Fixed rate loans will allow you to plan your cash flow with a stable, predictable repayment plan. An interest rate which is adjusted occasionally, generally based on a standard market rate. The rate will remain fixed for a certain number of years and will change periodically after that. Mortgage where the monthly payment goes entirely towards the interest with no principal pay down for a pre-determined portion of the loan term. This loan allows for lower monthly payments initially. Home Equity Lines of Credit (HELOC) are a revolving form of credit in which the borrower is using their home as collateral. The interest rate is typically tied to the Prime Rate and floats. We have many different home equity lines available. We are looking for long term clients who are satisfied with the loan program we select for them. Call us today! Artisan is a premier mortgage broker offering low mortgage rates and a wide array of home loan programs to Queens NY residents including FHA, VA, USDA and Conventional loans.